This is first in an occasional series of posts about the American Jewish University (AJU) Dream Lab – a think tank of artists and educators developing a programmatic vision for infusing the field of Jewish education with creativity through the arts. 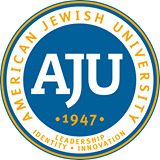 I'm honored to have been chosen as one of the Fellows in the AJU Dream Lab program for the 2015-2016 academic year. I'll share more about the program and our plans in future posts, but for now I wanted to write up a few thoughts on this week's Torah portion, after a discussion we had at today's session, the first for our team. 1. God says, "let there be..."
3. And it was good. Miriam followed Sacks' idea that this is a reflection of the creative process: we intend to create, we create, and then we evaluate. But it occurred to me that it also served as a good analogy for the teaching process, which is (of course) part of what we're discussing in the Dream Lab. How so? 1. We need to get our students to accept the role of creator/artist – willing to undertake the effort to make something. 2. The students must engage with the materials and create something, in an authentic and sincere process. 3. The students must be able to acknowledge that they have made something of value – that they are, by definition, creators and artists, and that their work is meaningful. This all goes to my point that everyone can be a creator – everyone can find the spark within them to make something, in whatever medium they like... but they often need to be first told that they can do this. They need to be told – and shown – that art isn't something other people do, but rather something we all can do. And that the work of our minds and hands is valuable and important, and we are worthy of the title creator/artist. After all, we are told that the process of creation which began at the birth of the universe is an ongoing process even to this day, and that we must partner with God to continue it. On Shabbat we remember that we are partners with God in creation, and that we must work to make something valuable and important – that is our role, and our destiny.